Once she held the Around Catalina record, now she’s 100 years old and it’s time to party. 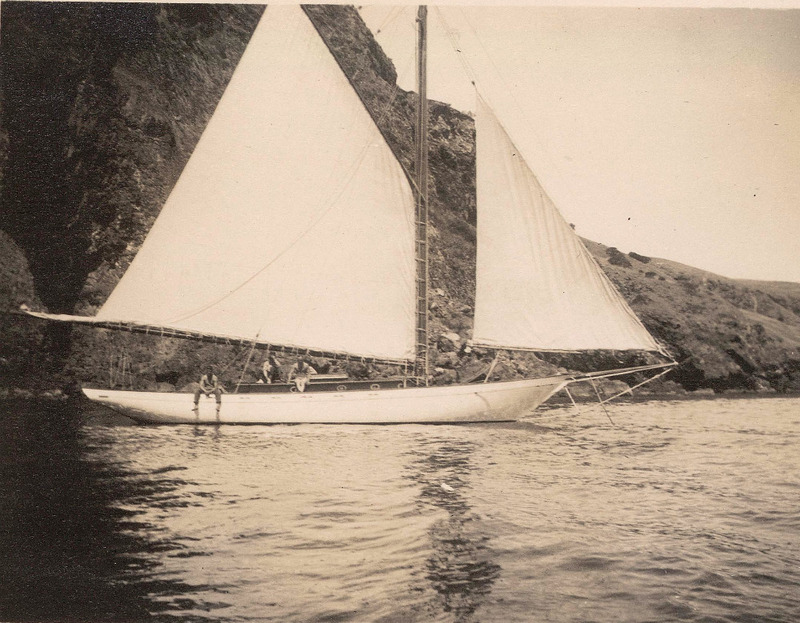 So if you hear a bit of shouting this Saturday, coming from the direction of Howland’s Landing, Catalina, the action is probably on the deck of the redoubtable Siwash, a piece of floating history. Is there another Southern California raceboat still floating, still active, that’s older? Much less a boat that has been in one family for a century? Siwash was Fulton’s boat, but only for a while. The lucky young Wright had earlier been gifted with a 28-footer, but his persistent mooning over Siwash was rewarded when his father bought the big boat for him as a high school graduation present. “Los Angeles was a little town in 1910,” says Bill Wright, who was a graduate student at Scripps in 1982, when he bought the boat for a dollar from his brother, Howard, who in the 1970s had bought it for a dollar from their father, who had inherited it from his father in 1959. 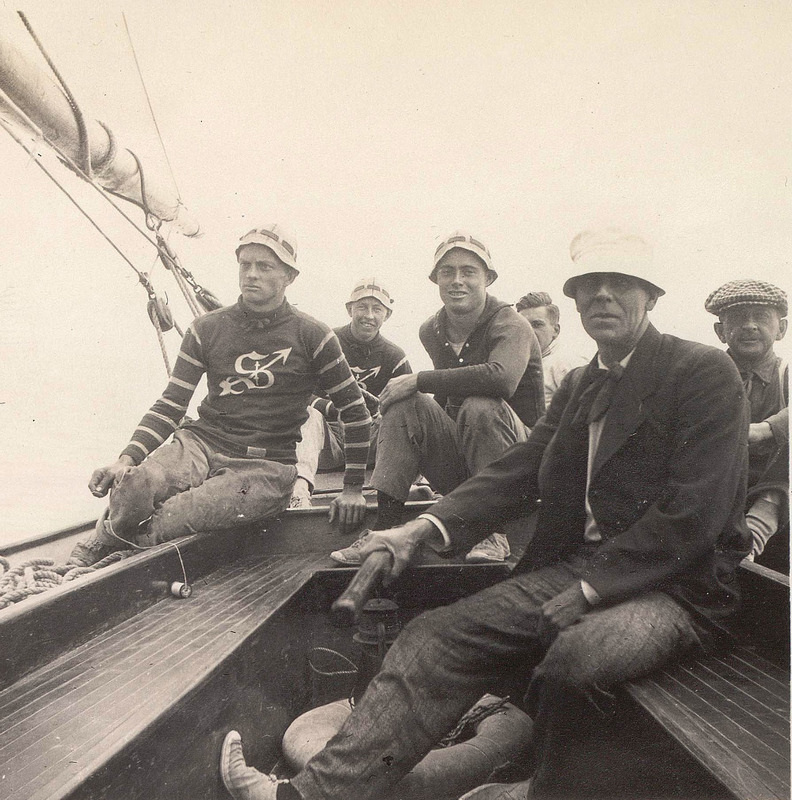 In 1912, Siwash won the Around Catalina Island race with Howard Walter Wright at the helm and a crew of Stanford fraternity men. The family story has it that she set a record that stood for some 25 years. 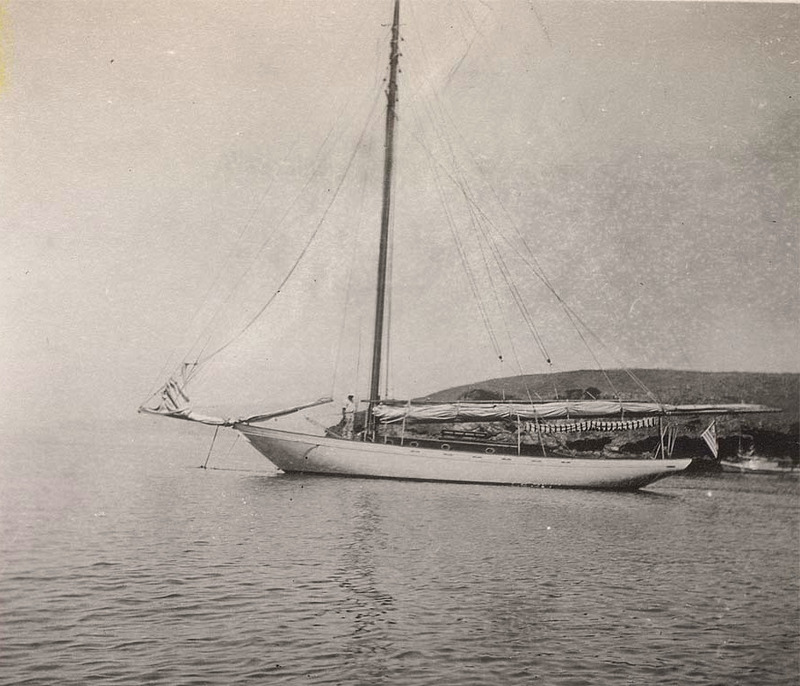 According to Stanford lore, Siwash sailed the course in 12 hours, 14 minutes. There was, btw, no engine. 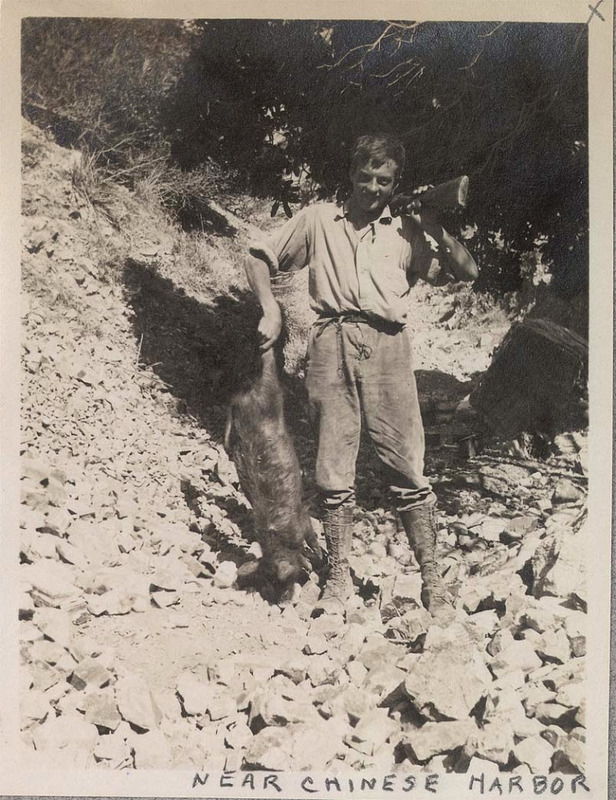 Photos courtesy of the Wright family. Present owner Bill allows, “I’m not really an avid wooden boat owner, but Siwash is a member of the family.” The boat is berthed in Alamitos Bay and sails under the colors of Los Angeles Yacht Club. And, Siwash continues to be a regular visitor to the favored coves of Catalina.